The Bachelor of Business Administration with Honours in Corporate Governance is a four-year programme. Applicants can apply for admission to Year 1 or Senior Year. This programme aims to provide broad, high-quality education and practical knowledge and skills for those who wish to pursue a career in corporate administration and company secretaryship. On completion of the programme, students should be able to demonstrate comprehensive knowledge of the professional practice of corporate administration and company secretaryship and the full range of theories underpinning good governance of business and non-business entities. Students can also obtain recognition from relevant professional bodies. Graduates of the Bachelor of Business Administration with Honours in Corporate Governance programme are eligible for exemptions from all four subjects of the Professional Programme Part One of the International Qualifying Scheme of the Hong Kong Institute of Chartered Secretaries. I was assigned to join one of the international charity organizations, The Salvation Army, as a marketer of their fitness programme. I worked with a partner from another university and both of us discussed a lot about the marketing strategies for programme promotion and methods for collecting feedback from target customers. 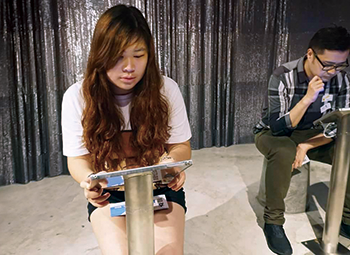 Instead of staying in the office, we went to different centres such as Tai Po Sports Centre and Fu Hen Sports Centre. I was really grateful to have these colleagues and learnt much about real business practices from them. 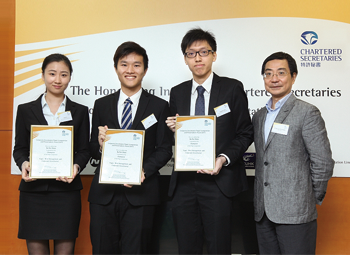 A team of three full-time students won the Champion of the Corporate Governance Paper Competition 2015, organized by the Hong Kong Institute of Chartered Secretaries. The 5,000-word paper on ‘Risk Management and Corporate Governance’ was selected from 39 other entries from local tertiary institutions. The paper was published in the Institute’s journal CSJ in December 2015.